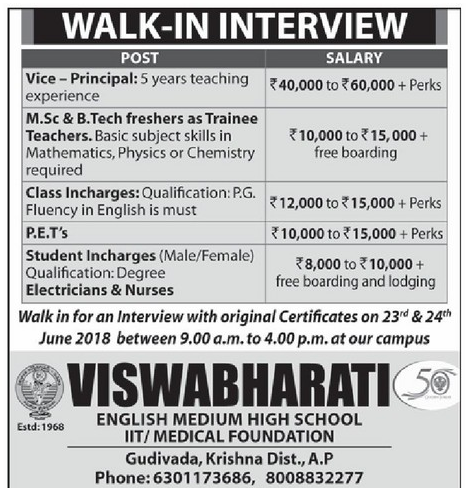 Viswabharati English Medium High School, Krishna has advertised in EENADU newspaper for the recruitment of Teachers plus Vice Principal jobs vacancies. Interested and eligible job aspirants are requested to appear walk in on 23rd and 24th June 2018. Check out further more details below.